The 1xbet sport betting is a relatively young company. It has been working in the bookmakers’ market since 1997. Players began to learn more about the organization after it went online. It has been possible to bet at 1xbet on the Internet since 2011. The company, like many other bookmakers, faced various problems due to restrictive legislation. However, now it is one of the most successful and recognizable bookmakers in the CIS. Experts believe that with the same rapid growth, the bookie will take a leading role both in Europe and in the world market. Despite going online, 1xbet has more than 1 thousand offline offices for receiving bets. The number of registered users on the company’s website has exceeded 500 thousand people. This bookmaker works not only with existing, but also with potential customers. This increases interest and trust in it. The company’s website supports more than 50 language versions. This makes it easy to bet from anywhere in the world to people from different countries. The company regularly introduces new technologies into the betting system and is becoming more and more attractive for players. During its activity, 1xbet has become recognizable around the world. The company has among its partners the well-known English football clubs Tottenham Hotspur and Cardiff City, as well as Astana from Kazakhstan. The bookie is known far beyond the borders of Europe. 1xbet cooperates with the Nigerian Premier Football League and is also a partner of the Nigeria National Football Team. In addition, the company cooperates with three e-sports organizations. Sometimes charity competitions are held under 1xbet bookmaker’s auspices. All this testifies to the popularity and credibility of the company. The company also offers bets on races, martial arts and various «exotic» competitions: Gaelic football, kabaddi, cricket, snooker, etc. 1xbet is constantly being upgraded. The same goes for the site. The official portal of the company at first glance seems kind of stuffed with a huge amount of different information. There are a lot of offers, but having sorted everything out, it is possible to understand that everything is in its place. The site has a user-friendly interface, and even a starter can navigate through it. All the main tabs are located at the top of the site. In the middle there are online betting options. At the top you can also find information about current bonuses, view the time and customize the site to your liking. You can visit the 1xbet official portal not only on a computer. The company offers customers a special mobile application for betting on a smartphone. You can download the program on the bookmaker’s website. However, it is important to choose the right application. One type of program is designed for Android-based smartphones, the other is for iOS-based devices. Find a tab for the application at the top of the site. There are also tabs for quick ordering a call from the customer support and for switching to Telegram. Through the messenger you can even bet. The authorization process on the 1xbet portal can be done in several ways. The simplest one is with one click. The form for this type of authorization can be found on the right side of the company’s website. This way, a player only needs to specify their country and the currency which they want to use to bet. Winnings are displayed in the same currency. Later it is possible (and even necessary) to fill in a personal account and enter a phone number. The latter is especially important. The confirmed phone number protects the user account and gives the player more options. In addition, the user can find out the bet results through SMS messages. If during the registration a player has enough free time, it is better to choose authorization via e-mail. In this case, the user is waiting for a standard survey. The player, except for the country and currency, also needs to specify personal data and come up with a password. If desired, you can register on 1xbet with a profile on a social network or instant messenger. In this case, you need to allow the company’s portal to copy information from your profile to move it into the registration field. When completing any type of authorization, you need to read the rules and agree with them. Like many other bookies, 1xbet offers players many options for depositing a virtual account and withdrawing funds from it. A total of 44 methods are available for depositing funds. They will be withdrawn the same way if a player chooses not a POS-machine. When choosing a payment system, a player’s country will play a big role. After making the first payment 1xbet gives a user a guaranteed bonus. You can deposit your gaming account through terminals, international bank cards Visa and MasterCard, e-wallets and online banking programs. 1xbet stands out among the competitors with wide action lines. At one event, the company can offer up to 1 thousand outcomes. As for matches, you can bet not only on the outcome or score. This bookie accepts bets on statistics, fouls, corners, etc. Most options are for football — up to 5 thousand for one match. In hockey and basketball, a player is offered from 2 hundred to 1 thousand possible bet options. Based on the width of the action line 1xbet takes the first place in the world. The company works to ensure that players are interested in betting. So, for example, the bookie regularly offers a bet on the «match of the day.» One event is selected for which the widest line with attractive odds is done. 1xbet also offers players to bet only on their fellow citizens. To do this, in the Line field you need to select the Bet on yours (поставить на своих) tab. You can have single and combo bets. Specialists of the company daily make up for users attractive conbo bets with a choice of prepared outcomes. Whether to take a ready-made bet or create their own one is a player’s choice. 1xbet also works on the attractiveness of lines when it comes to Live-bets. The company can offer a player up to 300 betting options for a match between average performers. There are even more bets when top contests take place. On the bookmaker’s site, you can also find Live-accumulator created by experts. By placing bets in the «live» mode, you can watch the broadcast of the selected event. Another Live is interesting by the presence of a special feature — 1xZone. This is an interactive system in which you can guess which event will happen next in a particular match. Another system — MultiLive — helps to monitor simultaneously several matches in real time. 1хbet has a lot of special offers for its players. The main bonus is a gift deposit for the first deposit. To receive the bonus, you need to have an account on the 1xbet website, specify all personal data and deposit your gaming account. The money received from the bookmaker cannot be withdrawn, but they can be spent on a bet. 1xbet has a special offer for the fans of the Champions League. The company offers the bettors to make predictions for upcoming matches of the tournament. The users need to guess the score of each upcoming contest in the European Cup. Forecasts should be fixed with bets. If you guess the outcome of some match, you will receive 1 point. The player who has guessed the results of the biggest number of contests will win the main prize — the Aston Martin Rapide S car. The users who have taken places from the second to the fifth one, can also count on prizes such as laptops and smartphones. The company gives personal bonuses to players on their birthdays. 1xbet congratulates the client on this important day with a promotional code for a free bet. The company’s representative will send the code the player’s personal account, as well as an SMS message to the phone. Another attractive bonus from 1xbet is the bet insurance. A player can insure a bet before placing it in a coupon. It is possible to insure either a part of the delivered amount or the entire amount. This service is paid. If the bet does not play, the part that is insured will return to the user’s account. If the bet is played, the bookmaker pays the player the full win of the odd. The amount spent on insurance is not refunded. More about this and other bonuses of the company can be found on its website in the Promo section. Individual approach to each client who has any questions. Experts will advise the player over the phone or text message at any convenient time. Payment guarantee. The company guarantees the full payment of winnings, if the client was not involved into fraud. 1хbet – is a dynamically developing betting company. This betting shop attracts players with a wide choice of sporting events and wide action lines. One of the advantages of the company is its interest in regional leagues. 1xbet constantly introduces technological innovations in the work of the site, making it more entertaining. The level of the company’s services can be compared with the European ones. The customer support responds quickly to user complaints and helps customers solve problems. 1xbet is not only a bookie, but a full-fledged entertainment site. Here you can bet on sports, play online games, lotteries, play slots and watch live matches. The company guarantees the payment of the full amount won. This bookie has really good reputation. 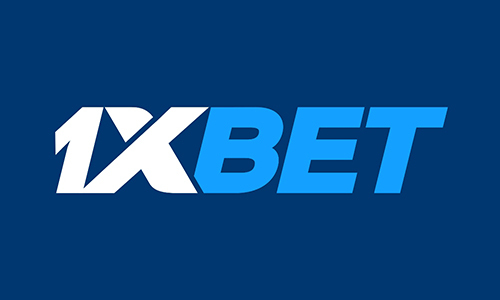 1xbet has gone international working with English, Kazakh and Nigerian football clubs. The company supports e-sports and sponsors the organization of sports competitions at the amateur level. The only drawback is the average odds. But this disadvantage is compensated by wide lines and a large selection of events for each bet.